This post was last modified: 08-11-2017 11:31 AM by Admiral. Sweet stuff man. Love that Hellcannon! Ya, blondie would get picked on a lot, to the point where he would start dieing his beard anyways. 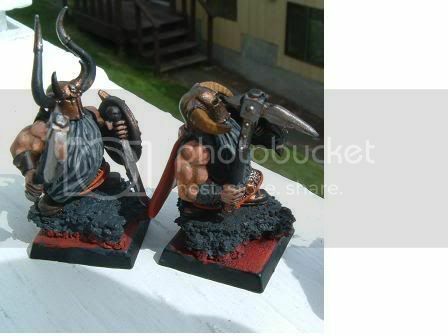 Nice army - especially The Earthshaker (Hellcanon) - which is great- . 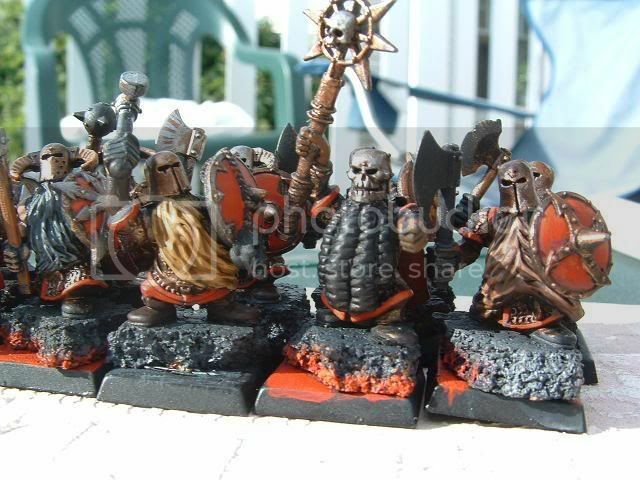 How did you paint the metal parts - is it GWs Tin Bitz as base or ...? And I love the wethering! I�m normally not a very big fan of using chaos helmets for CD (looks too much like short chaos warriors), but those looks amazing! 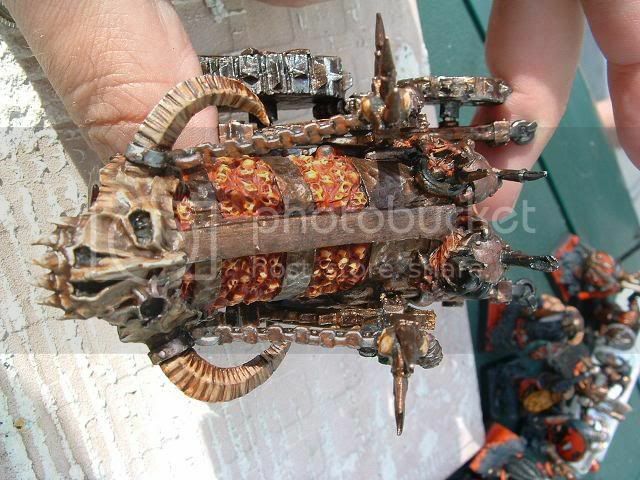 The unit filler looks sweet as well, and the hellcannon/earthshaker... hell, that paintjob is superb. Just one thing, you should cut a short part of their arms, especially the marauder arms, since they look weird if you uses a full lenght human arm on a dwarf. love the fiery part on the hellcannon. I would also like to know how its done. 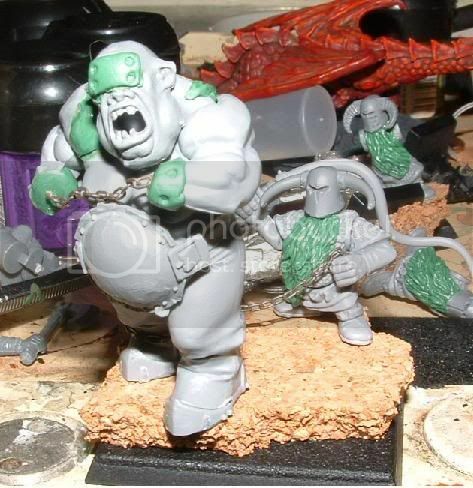 I love that slave ogre. Welcome to the forum Confessor_Atol. 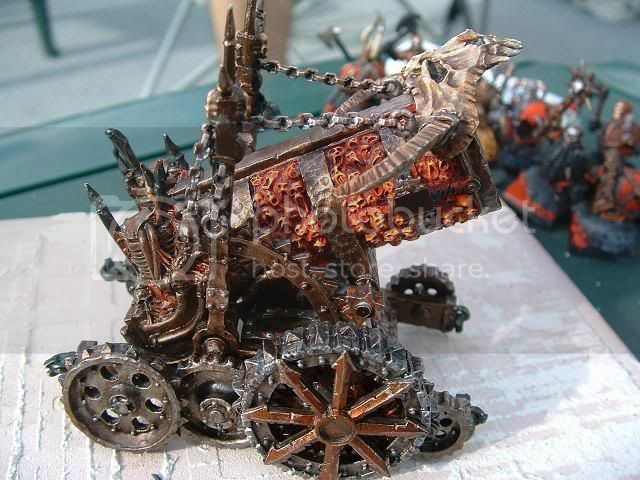 The Hellcannon looks a lot like how I think mine is going to turn out when it's finally finished. 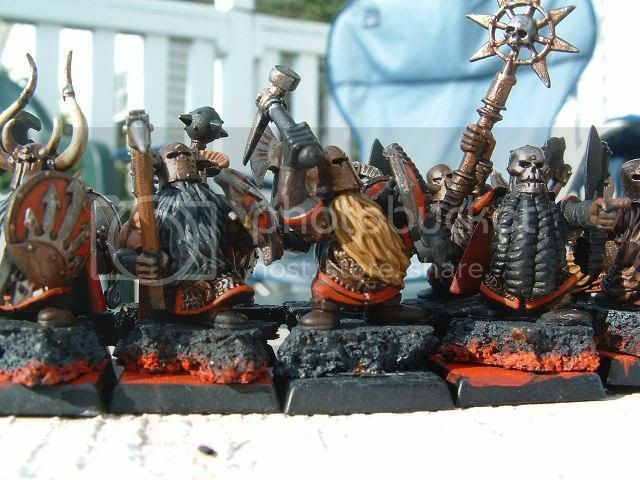 They look good, and the only thing that I can suggest about using the Chaos Helmets is to shave more off of the dwarf model. The head looks a little bit detached from the body, but not a huge deal.